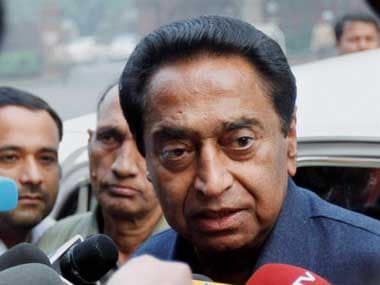 Simultaneous Income Tax Department raids at Delhi, National Capital Region, Bhopal, Indore and Goa and the seizure of huge amounts of cash, liquor and corroborative incriminating documents from premises related to persons who were either close to Madhya Pradesh chief minister Kamal Nath or his close relatives have given a handle to Prime Minister Narendra Modi to launch a blistering attack on the Congress. In an exclusive interview to Network 18 Group editor-in-chief Rahul Joshi, Modi called the Madhya Pradesh chief minister "Bhrasth Nath". This was the first reaction of the prime minister, hours after raids were conducted at the offices and residences of Nath's OSD Praveen Kakkar and former advisor RK Miglani. 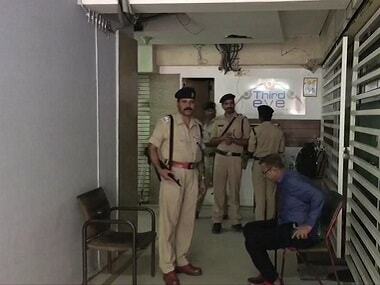 Premises of executives linked to Nath's brother-in-law Deepak Puri's firm Moser Baer and his nephew Ratul Puri's company were also searched. It should be noted that the Enforcement Department had recently questioned the Puris in connection with the VVIP AgustaWestland chopper bribery case. Nath and Congress had called it 'political vendetta'. In the interview, Modi said, "Bhrasht Nath could say anything, but it doesn’t matter. Action needs to be taken on scams and corruption." The Income Tax Department's statement issued on Monday night did not name any leader or political party, but gave enough hints as to who was under its scrutiny. 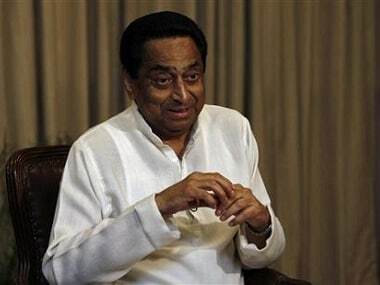 It talks about a money trail (Rs 281 crore) that could land at the doorsteps of the high and mighty from the ruling party in Bhopal and one of the main Opposition parties in Delhi. "Based upon credible information of large scale collection, possession and movement of unaccounted assets, Delhi Directorate of Income Tax (Investigation) initiated search and seizure action on a group in NCR, Bhopal, Indore and Goa. Searches in Madhya Pradesh have detected wide spread and well-organised racket of collection of unaccounted cash of about Rs 281 crore through various persons in different walks of life including business, politics and public service. A part of the cash was also transferred to headquarter of a major political party in Delhi including about Rs 20 crore which was moved through hawala recently to the headquarter of the political party from the residence of a senior functionary at Tughlak Road, New Delhi. Unaccounted cash of Rs 14.6 cr has been found so far, besides 252 bottles of Liquor, few arms and hide-skins of tiger," the statement read. Since the Model Code of Conduct is in force, the Election Commission was informed of the raids and seizures. It is suspected that the alleged amount of Rs 281 crore was money collected through illicit means and portions of it transferred to others was meant for election-related expenses of the party. The reference to cash transferred "to headquarters of a major political party in Delhi from the residence of a senior functionary at Tughlak Road, New Delhi" is noteworthy. Incidentally, one of the houses on Tuglak Road is in the name of a former minister in UPA government who is now chief minister. Modi has now made it an election issue: "Congress mein bhrastachar hi shistachar hai (In the Congress, corruption is a value system)." 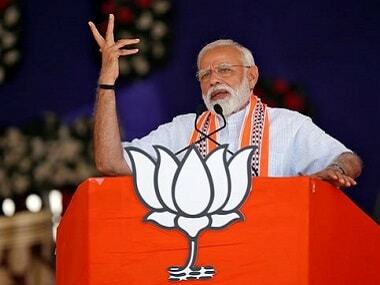 At a public rally in Latur, he began by referring to Income Tax Department raids at 52 locations at premises related to persons who worked as aides of Madhya Pradesh chief minister or were perceived to be close to him, asking the gathered crowd if they saw the crores of cash stashed in suitcases. The person he was referring to had been all-powerful during the 10 years of UPA rule and is still one of the most influential persons in the Congress organisational set up and it is believed that he draws his authority in the party and within the erstwhile UPA regime due to his close connections to the Nehru-Gandhi family. 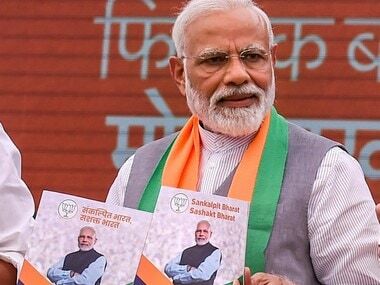 Modi also used the issue to turn the tables on Rahul Gandhi's "chowkidar chor hai" jibe, telling his audience that they could work out who the "asli chor" was. Modi and the BJP are using corruption in the Congress as their main plank. The ghost of the AgustaWestland VVIP chopper scam has come back to haunt the party with investigative agencies filing supplementary charges, listing that entries of "AP" refer to Ahmed Patel, political secretary to Sonia Gandhi and "FAM" meant “family”. It does not specify which family, but leave matters open for open interpretations because there are also references to an Italian woman.